MOTHERHOOD HAS CHANGED ME IN SO MANY WAYS. BUT I STILL SING - ProudMummy.com the Web's Community for Mums. MOTHERHOOD HAS CHANGED ME IN SO MANY WAYS. 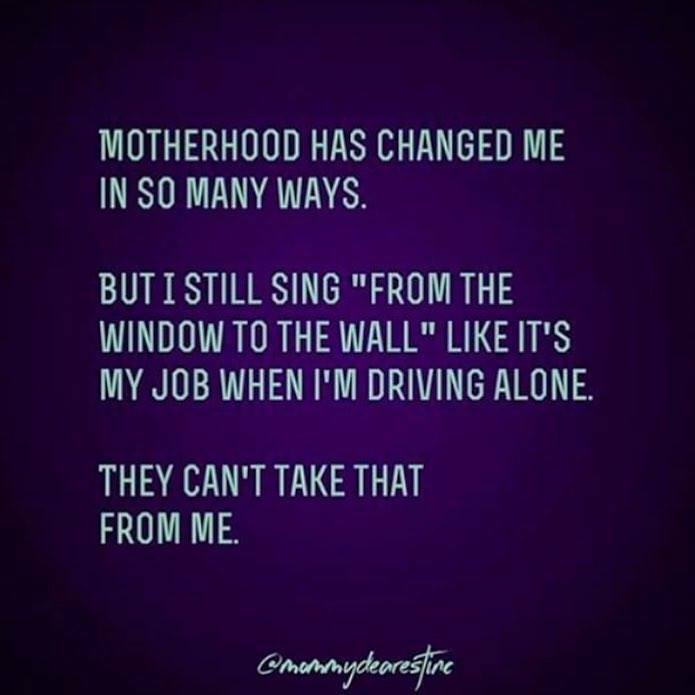 BUT I STILL SING "FROM THE WINDOW TO THE WALL" LIKE IT'S MY JOB WHEN I'M DRIVING ALONE. THEY CAN'T TAKE THAT FROM ME.